This project is part of the City of Vancouver’s Moderate Income Rental Housing Pilot Program – a specific initiative under the Housing Vancouver Strategy. 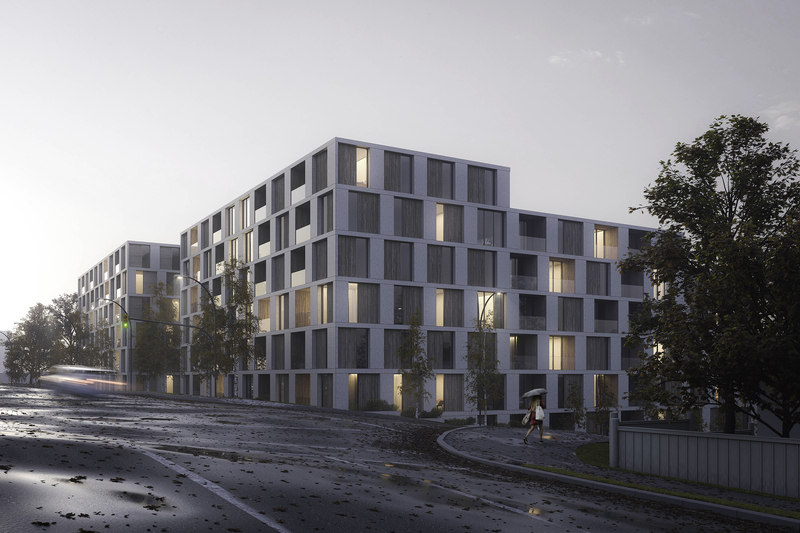 The design proposes 2 mid-rise courtyard buildings on an assembly of eight single family and duplex properties on a corner site, along a major traffic corridor in South Vancouver. The development proposes community amenity space on the ground floor (large courtyards and amenity programming), 6 storeys of residential units. The project calls for a significant increase in housing density on the site through the provision of 240 secured rental units as a response to Vancouver’s affordable housing crisis. The proposal is comprised entirely of rental housing and associated amenity space, with greater than 30% of the residential unit floor area dedicated to moderate income rental housing. The goal of this project is to create high-quality long-term homes for Vancouver residents. While the proposal calls for a significant increase in density on the site, every effort has been made to employ strategies for successful community planning. The courtyard typology affords light and ventilation from at least two sides of every suite, while also creating a safe community space for people of all ages. The architecture is conceived using an efficient structural grid which maximizes the livability of each suite type, while standardizing construction means and methods.